I’m constantly reading business books. Typically I have one open and a list of several that I want to get to. Here are my top five. They cover different aspects of business. I have read them many times and will undoubtably read them many more. This book was a recommendation from my brother Richard, who has written his own book on marketing (Stealing the Show.) I like to describe myself as not a salesman. But, in reality we are all salesmen. Sometimes it’s more formal, but if you have to sell an idea to your boss, or sell your team on a new initiative, you are selling. 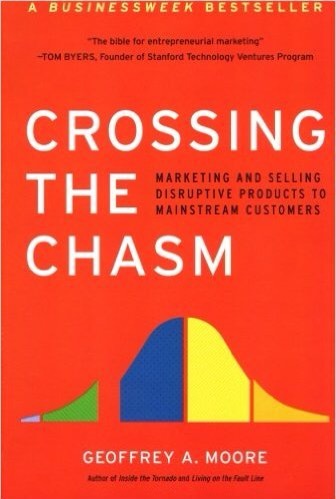 Crossing the Chasm does a great job of explaing the process of going from a startup to an established company. I once mistook a client for an early adoptor. It cost my company a lot of money and a lot of frustration. I should have paid better attention to Moore’s explanation. 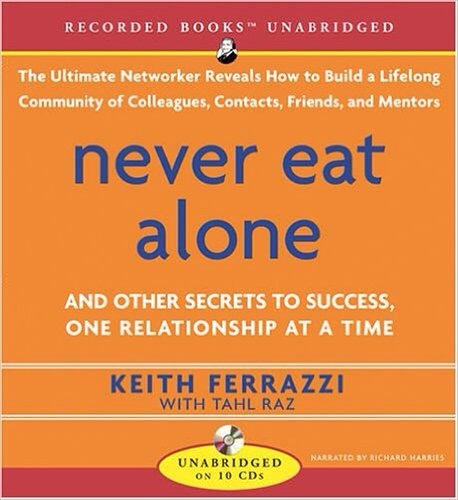 I don’t remember where I got my copy of Never Eat Alone. Very likely I overpaid for it in some airport bookstore. Ferrazzi explains networking better than I have ever seen. I tend to feel guilty every time I eat lunch by myself. You will too. My top three are really hard to rank. Influencer is from a research group. It explains why people do certain things. And just as importantly, it explains why people do not do certain things. My job as a Project Manager is to get people to do things for me when I have no direct influence over them. 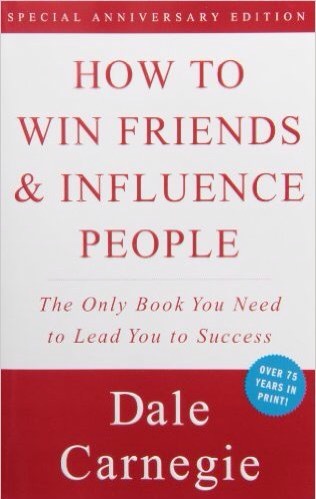 This book has been invaluable in helping me succeed as a PM. This week I’ll be attending a class on how to train people to be influencers. I’ve been anxiously awaiting this class for six months. I was tempted to put this book number 1. 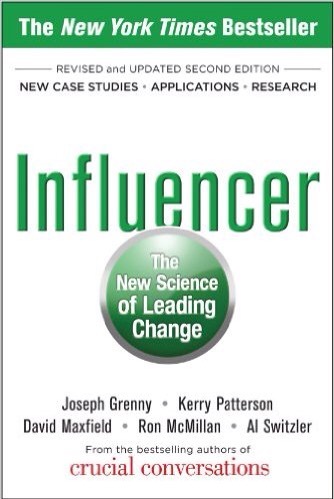 It’s the book I actively refer to most often as a leader. I hated the title. I still do. I’m suspicious of people who flout the conventional wisdom. In this case, the title was accurate. The authors did thousands of survey’s to find out why people leave companies. Their research is much more involved, but the it boils down to people join a company for it’s benefits, they leave because of their manager. Fortunately, Buckingham and Coffman explain how to keep them from leaving. It’s not about money. In fact, salary figures into it very little. 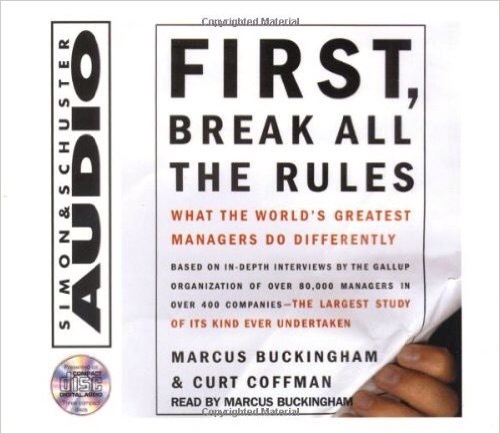 This was the first business book I ever read. I didn’t understand it was a business book at the time. I was 17 and a junior in HS. I thought it was a book about how to make friends. Later I figured out that the two things are really teh same thing. It’s hard to believe this book has been around for over 75 years. The concepts are as old as civilization. The theme is simply “Be nice to people.” Not because you have to, not even because it is the right thing to do. But, being nice to people actually is a winning business strategy. There are dozens of other business books I’ve read and hundreds more on the shelves. I’ve typically found portions of each book that I really enjoy. But, these five are my favorites because the authors took a business problem and crafted solutions. Solutions that I, as a business person, can immediately apply.